Called up to AAA Iowa for an exhibition with the big club in Chicago in 1989, Gabby Rodriguez rose to the occasion, according to The Chicago Tribune. Rodriguez, who played that year at single-A, picked up the win in the 2-1 Iowa victory over the major league Cubs, The Tribune wrote. Rodriguez picked up that exhibition win in his third season as a pro. he played in one more campaign. 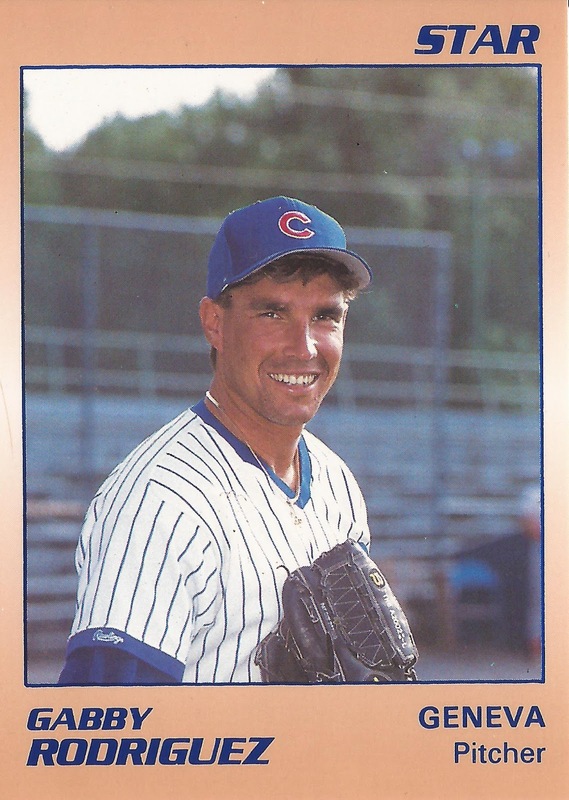 He made AA, but he never made a regular season game at either AAA or in the majors. Rodriguez' career began in 1987, taken by the Cubs in the 14th round of the draft out of the University of California-Irvine. At Irvine, Rodriguez spent time in the starting rotation in 1986 and made second-team all-conference in 1987. He started with the Cubs at short-season Geneva. He went 2-3 in 24 outings, two starts. He turned in a 4.68 ERA. Rodriguez then played 1988 at single-A Peoria. In 53 relief outings, he picked up two wins and five saves, along with a 1.51 ERA. He spent 1989 at single-A Winston-Salem. He won four games over 36 mostly relief outings. He ended with a 2.00 ERA. His final season came in 1990. He saw three games at AA Charlotte. He gave up four earned in 2.2 innings of work. Rodriguez then returned to Geneva, where he dominated. But it wasn't enough. He gave up one earned over 24 innings of work to end his career.